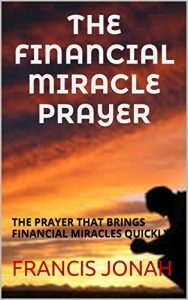 What inspired me to write this book was the relief I had when my financial prayers began to be answered. The discovery about how simple things hindered me made me realize others might be experiencing such hindrances too. Your greatest competition in life is your ignorance. People are destroyed for lack of knowledge and praying for financial miracles is an area that knowledge will bring immediate results.